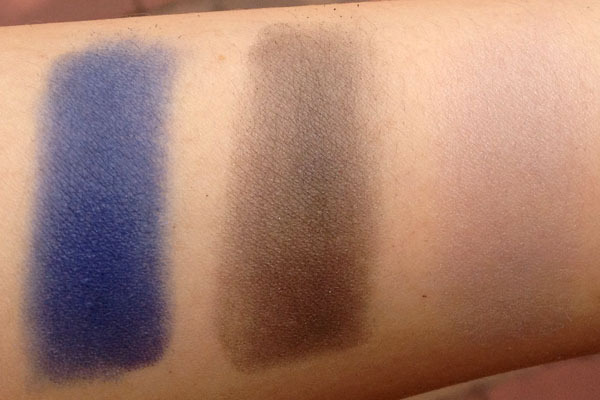 Along with the Cheek Sticks, I picked up some Addiction by Ayako eyeshadows thanks to my wonderful friend. Around the Internet, these are touted as some of the best eyeshadows ever, and when the entire world tells me it's that good, I just have to investigate. I had to buy these sight unseen, so I mostly relied on The Driveller Kate's swatches of the entire line to narrow down my picks. Trust me when I say it wasn't easy. While the eyeshadows came in single pans, I decided to purchase the 6-pan palette for convenience. The palette does not come magnetized, but the eyeshadow pans will have glue on their backs anyway. Depotting is as easy as sticking a paper clip into the hole at the base. No heat necessary. 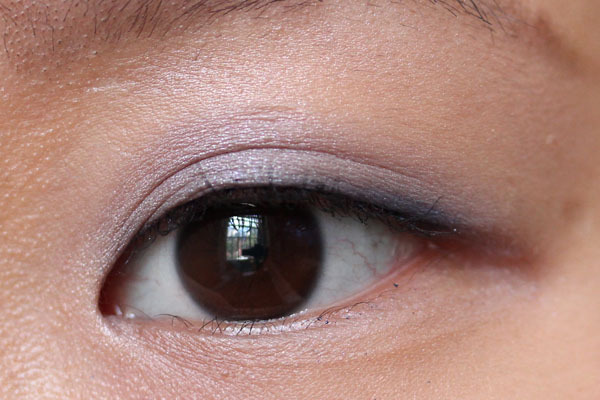 Addiction eye shadows are divided into four color types: (P) for pearl, (M) for matte, (ME) for metallic, and (S) for sparkle. A closer look at Concrete Jungle, my favorite of the six I chose. The color is a true dove gray, and I can very safely say I don't own anything remotely close to this in my stash. 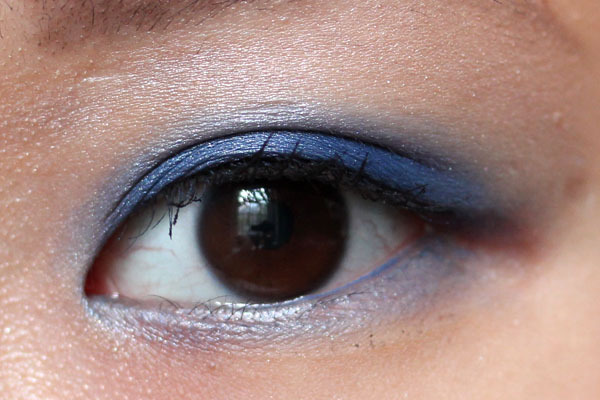 While NARS Outremer dashed my hopes for a vibrant International Klein Blue eye shadow, Midnight Oasis rekindled the flames (of desire? haha). In the pan I suppose it doesn't look as brilliant as Outremer does, and when worn it is a tad darker, but that, ladies, is what I call a blue. What can I say? 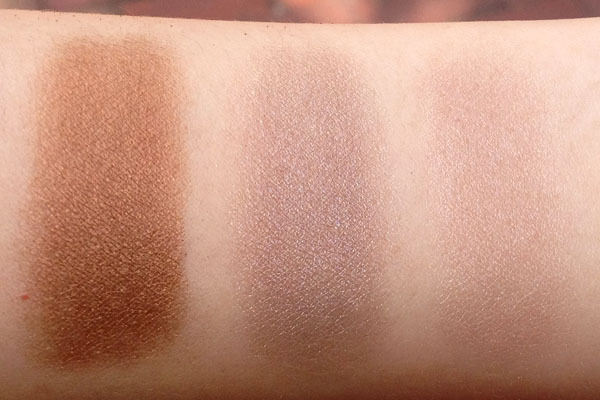 Hands down, Addiction features the best eyeshadow formula I've ever tried. Buttery doesn't even begin to describe how it feels when applied to the lids. All the hype is true, and I'll be contributing to it from now on. 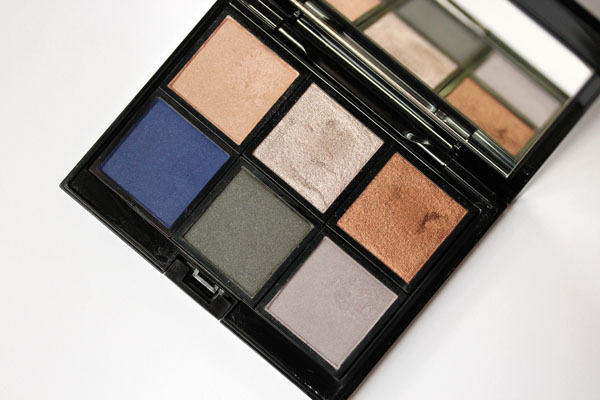 Addiction eye shadows are $40 on Ichibankao (original price $27 in Japan). absolute beauties <3 I have the rest but now I really want Twig o_o thriller and neverland are also beautiful. I think my addiction shadows are some of my greatest MU treasures. I'm going to Japan this weekend. Can't wait to pick up some Addiction products. Do you have any recommendation on "must-have"? The blue looks magnifique on you! 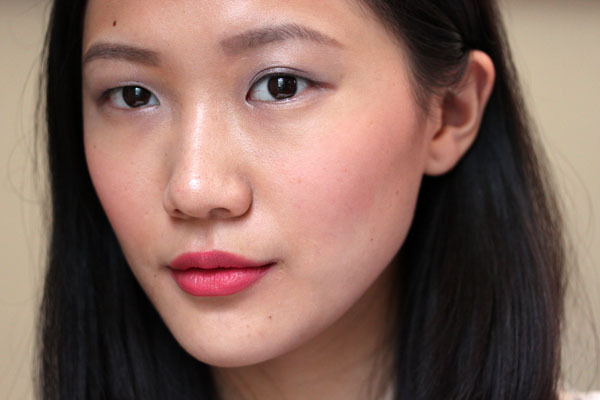 Perfect with the flesh toned lippie. 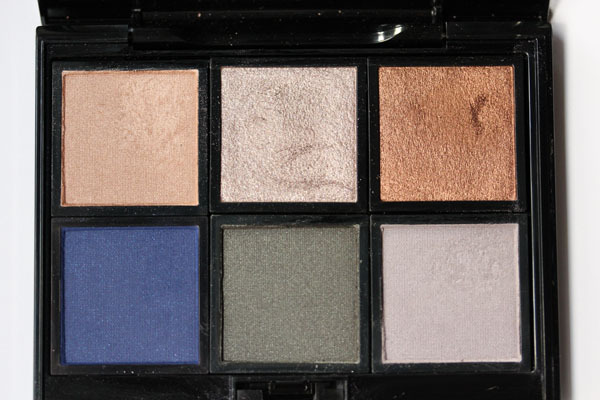 Love Addiction's no frills cubic artist-like palette...really crushing on this now. So pretty! I have never heard of this brand before. Probably a good thing haha. LOVE that blue so much! These are TOO pretty. Gah! I love the combination of colors and finishes of this palette! Kinda wish Twig would be a bit more khaki though. I have the same regret about the darker shade of Hourglass Dune, but then again I'm a bit picky when it comes to my khakis! Oh boy another rave for the Addiction line. I'm soooo sad that it's not available here because you really sparked my interest in them! I love the blue es on you, it's perfect! POWOW! midnight oasis is a stunner on you! I know I just played mule, but it still makes me happy that you're loving your purchases. Looks like you're bringing others to the Addiction side now :). Rosy- Midnight Oasis is glorious! Glorious, I tell you! Coco- Unfortunately I've only tried these 6 shadows and those two cheek sticks (all of which, I guess, I will categorize as must-haves :P). The only other item I haven't shown from my haul is THREE Flash Performance Eye Pencils, which are AWESOME. You must definitely try them out at a counter! Oh, and you lucky person, you :( I wish I could go to Japan again. yogurt!! !- I love that aspect of Addiction e/s too. They're just such space-savers too. No extra eyeshadow brushes/useless space. Sunny- I'm glad it isn't since I can't really do khaki, but I wish it was more... shimmery? or pulled more forest green. Teri- It's really good. I wish they'd expand out of Japan, but it always seems like the best things stay firmly there. Lizbob- GASP! But reduction! Though I hit pan on this face powder some time ago and now I'm really determined to finish it and show it to you! Jessica- They ARE! I just want to bring them out and shove them under everyone's nose and say "FEEL IT!!" I just love the tones in here. Pretty versatile to match with my wardrobe. Got my eye on your next style tips. They are gorgeous! How do you think flash back compares to LMdeB corinthian? I am lemming for this brand- are u still loving it- how do you think it compares to suqqu and RMK and have u tried or heard good things about their eye laquers? MakeupRemasteredbyJo- I am definitely still loving it! I've never tried RMK shadows so I can't say. 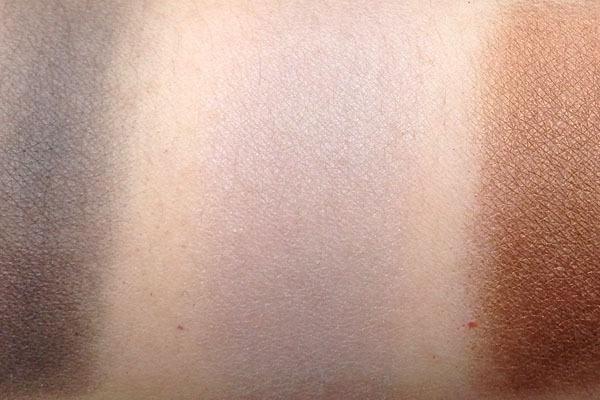 As for Suqqu, Addiction is more pigmented and seem to feature a wider variety of colors/textures. But Suqqu's "look" has always been softer. I've heard good things about their eye lacquers, but as I haven't tried them myself I can't give you my opinion. Hope this helps!